MIKE DOUKAS is “the calm before the storm.” He enjoys fighting his client’s battles against all comers–major banks, attorneys, debt collectors, major corporations. It doesn’t matter who is against him. Mike negotiates or litigates to resolve business problems, including defending allegations of fraud and contract disputes. 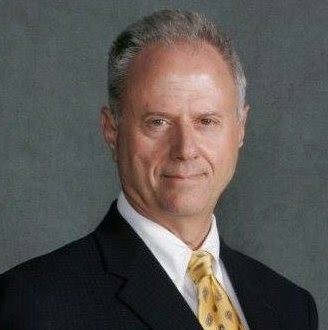 For consumers, he resolves issues of abuse from creditors and debt collectors, defends consumers through trial in debt collection lawsuits, provides limited-scope representation to defendants who want to represent themselves, advocates for victims of identity theft, and helps clients who have credit report inaccuracies. He has enjoyed the confrontation and the problem solving inherent in litigation or disputes, and the eventual constructive results that are clearly produced, often times on behalf of the “little guy.” Experience has taught him, true success lies in win-win solutions and resolving a client’s problems so they can move on with life. Mike has successfully litigated several consumer Class Actions with co-counsel Barry Mills of The Law Office of Barry D. Mills, P.C. The most memorable was a multi-case, 11-year crusade against Volkswagen that started in federal court and was finally resolved successfully in San Diego Superior Court in 2016. When a partner of Doukas & Hewell, the firm and associated co-counsel resolved a class action against Ford Motor Credit and related companies. To better serve the public, Mike has begun offering “do-it-yourself” or “limited scope” representation for Defendants in debt collection lawsuits who want to represent themselves but also want legal support on an “as needed” basis. If a consumer prefers, Mike will settle the case for a payment plan or discounted lump sum without the need to otherwise litigate. This has turned out to be a very successful tool for individuals who cannot afford full time representation, but aren’t willing to give up from the get-go by failing to show up and respond or simply settle their case. He has litigated extensively in state and federal court since 1996. In fact, he has litigated over 50 consumer cases in U.S. District Court here in San Diego. However, one case, Thies v. Law Offices of William A. Wyman, et al. (S.D. Cal., July 23, 1997) 969 F.Supp. 604, changed the landscape for collecting delinquent HOA fees in California in a big way. Federal Judge Rudi Brewster held that the federal Fair Debt Collection Practices Act (15 U.S.C. §§1692 et. seq.) applies to the collection of delinquent homeowner association fees, and the lawyers and property managers who collect them. He has also served as a Pro Tem Judge in Small Claims Court for the San Diego Superior Court in Vista. Mike served on the Board of Directors of the North County Bar Association for a three year term from 2013 through 2015. He was elected to serve as Treasurer for 2015, also serving as a Vice President of the Board of Directors in his final year on the Board. For all three years, Mike was the Director who developed and was responsible for the Bar Association’s Facebook Page. Mike has a Bachelor’s Degree from McDaniel College in Maryland, and a Master of Science in Technology of Management with a major in Computer Science from The American University, in Washington DC, 1979. He is also an alumnus of the United States Naval Academy, Class of 1974, and a Lifetime Member of the USNA Alumni Association. He obtained his law degree from the California Western School of Law in 1994. Prior to practicing law, Mike had a career for over ten years in Washington, DC, employed primarily by an independent Air Force agency associated with Scott Air Force Base. His agency was housed above a Chinese restaurant in Franconia Center near Springfield Mall in Northern Virginia. Mike and his colleagues were retained on a project basis as consultants by various federal agencies throughout the United States. Their role as consultants was to employ operations research methodologies on mission critical technology issues. Mike’s Directorate primarily focused on employing computer simulation and queuing theory. Mike eventually managed project teams composed of civilians and Air Force Officers authorized by interagency agreements. Projects he managed included as clients: NASA’s Goddard Space Flight Center; and Navy, Air Force, and Army organizations. He also procured private sector expertise in support of these agencies as needed. In 1982, his organization was awarded the Air Force Organizational Excellence Award while he was on-board. Sometime in the late 1980’s, his agency was transferred to the General Services Administration as the original Air Force mission was considered completed. He left federal employment soon thereafter. During his career in Washington DC, he also worked in the private sector for ARINC Research Corporation. During the 1970s, Mike was employed by Westinghouse Defense Systems Center to design and program portions of the onboard, computerized weapon system of the F4-F fighter plane as part of Project Peace Rhine, a joint effort of the US Air Force and the German Air Force. Additionally, he was solely responsible for analyzing the algorithms and logic of the weapon system software to uncover potential software-related safety issues prior to implementation and operational testing.